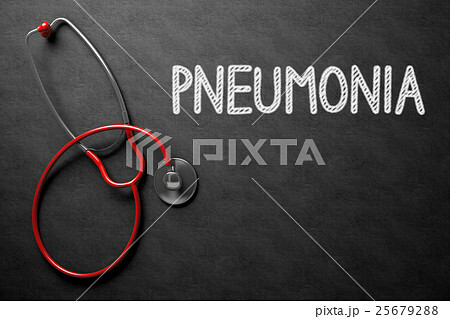 Medical Concept: Pneumonia - Black Chalkboard with Hand Drawn Text and Red Stethoscope. Top View. Black Chalkboard with Pneumonia - Medical Concept. 3D Rendering.